Influition teamed up with Rockstar energy to put the brand in front of tens of thousands of college students from universities nationwide. We facilitate onsite marketing promotions during college winter and spring break trip events, appoint university influencers to represent Rockstar as brand ambassadors on target campuses and support the brand through social media marketing. 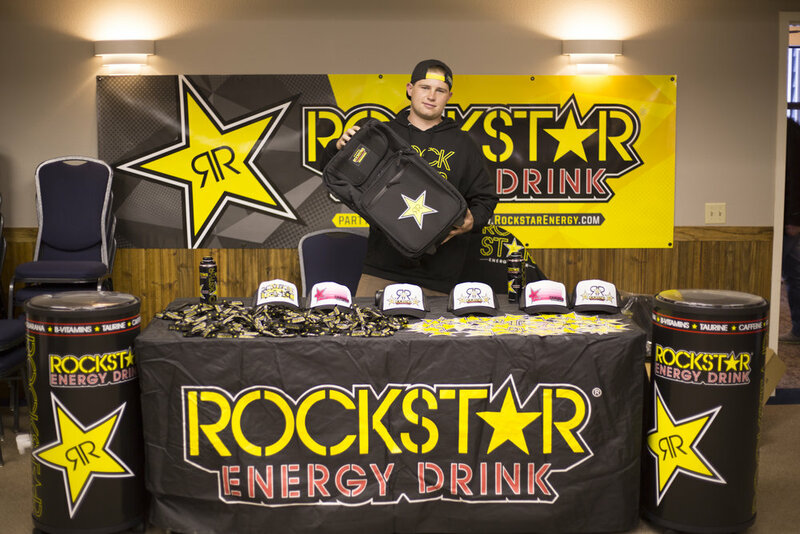 The Influition college network has been a cornerstone of the Rockstar Energy's Brand Ambassador Program's success. The Influition and Rockstar Team's joined forces to create a powerhouse campus rep program to activate and marketing Rockstar products on college campuses nationwide. Influition connected the in-house Rockstar Marketing team with qualified and influential college candidates to fulfill the positions of campus brand ambassadors at select universities. Additionally, Influition assisted the Rockstar Team to map out a strategy for hiring, on-boarding and managing their team of brand ambassadors. Currently, Rockstar has the support of over 100 college brand ambassadors who serve as the face of the Rockstar brand on their campus and among their peers. These brand ambassadors produce countless activations, peer-to-peer engagements and impressions on their campuses.